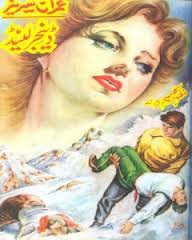 Danger Land Imran Series by Mazhar Kaleem pdf download is another action episode of this storyline full of thrill and action. Mazhar Kaleem was a legendary Urdu spy writer who took the responsibility of Imran series after the death of Ibn e Safi. He beautifully scripted the Imran series and took it to a great peak. Imran is actually a freelancer secret agent who is hired by secret agencies to do some impossible tasks within the country and outside of the country. He has a great sense of humor, a sharp mind, and proficiency in killing and fighting.